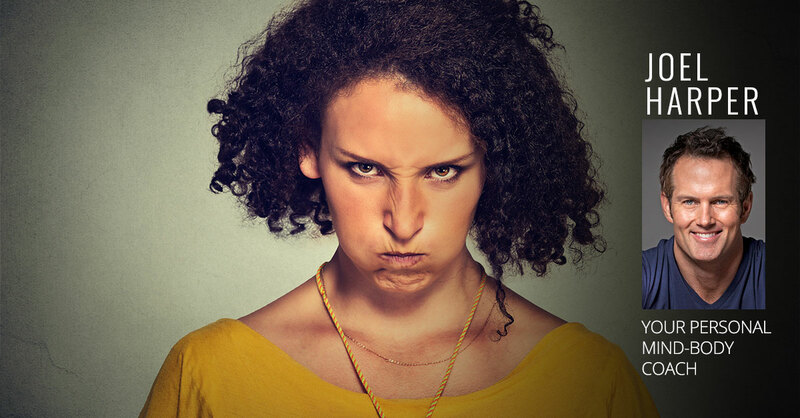 Negative emotions—particularly anger and anxiety—are normal from time to time, but it’s not healthy or productive to hold on to them for long periods of time. You may not even be aware of the emotion you are feeling at a difficult moment, but taking the time to name the emotion you are feeling raises your awareness, which is the first step to finding relief. Affirmations work! So if you’re going through a rough time, repeat the affirmations suggested here a couple of times a day. Write them on sticky notes and put them in a place you frequently pass by. Then do the suggested exercises for five minutes to burn up excess energy and let it all out. FEELING ANGRY? Resentful? Agitated? Frustrated? Irritated? Annoyed? Exercise: Punching Bag (which strengthens arms and shoulders, by the way). Do for five minutes without stopping. Get ready: Stand with feet comfortably apart. Lift your right foot off the floor, bringing your arms out in front of you, elbows slightly bent with your knuckles facing away from your body and in line with the center of your chest. Go! Circle your hands around each other vertically (up and over) as if you were hitting an imaginary punching bag. Go 30 seconds clockwise, then 30 seconds counterclockwise. To pump it up, do double time for 30 seconds in each direction, then an additional set at triple time. Don’t stop, and resist lifting your shoulders. Keep them away from your ears. Then do a second set with your left foot up. 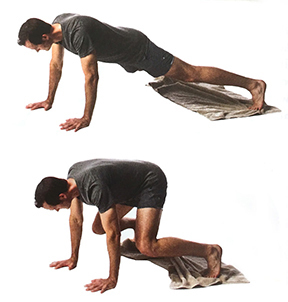 Get ready: Grab a big towel and come into upper push-up position, hands under shoulders, elbows slightly bent. Position your feet wide on either side of the towel, then bring your feet together, scrunching the towel between your feet. Go! Make as wide a circle as you can with your feet, starting with your feet in and together, then moving them up and apart. Do 25 circles, then switch directions and repeat. Do two sets. 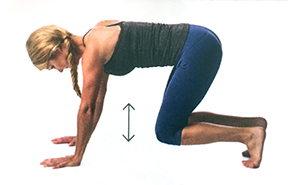 Get ready: Come onto all fours with hands under shoulders and knees under hips. Keep your elbows slightly bent and your back in a straight line from the top of your head to your tailbone the entire time. Raise your knees one inch off the ground. Go! Bounce your knees one inch up and down for two minutes. 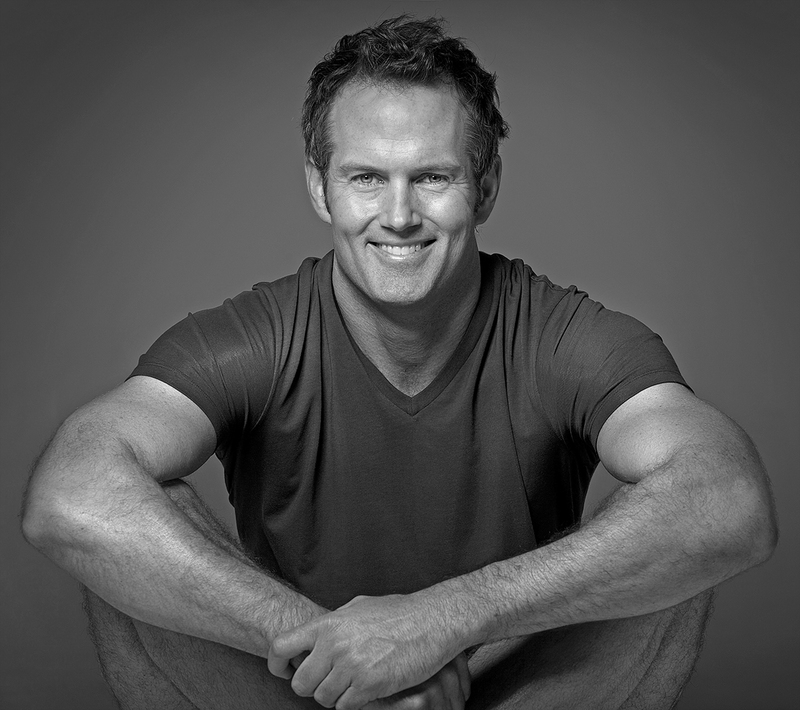 The effort should come from your quadriceps (the front of your thighs). Try to get 120 bounces in two minutes. Make it harder: Each time your knees come up, hop your toes one inch off the mat. Think floating, not pounding here. Imagine you are on a sheet of glass and you don’t want to break it.